ROUND ROCK, Texas - "Talkin' Baseball with Mike Capps" is back on the airwaves tonight! Join Round Rock Express Director of Broadcasting Mike Capps as he welcomes several special guests to help set the scene for the team's upcoming historic 20th anniversary season. The weekly radio program, presented by Covert Hutto, will air at 7:00 p.m. on AM 1300 The Zone each Monday night until baseball season begins. Tonight's season premiere features Hall of Fame pitcher and Express Principal Owner Nolan Ryan, along with Express Founder and current Houston Astros President of Business Operations Reid Ryan. Capps will also discuss the excitement of Round Rock's upcoming season as well as the team's transition back into the Astros organization with Express Hall of Famer and inaugural manager Jackie Moore. Former pitcher and member of the 2000 Texas League Champion Express squad Scott Navarro is also scheduled to join the program. 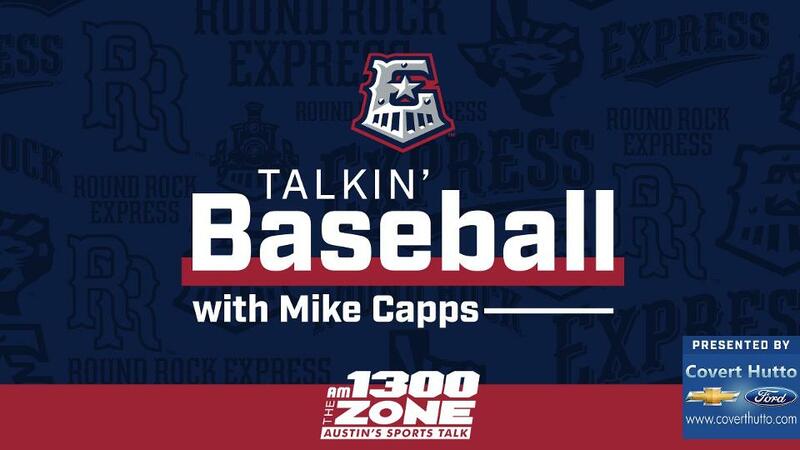 Fans can hear all the action live on the flagship home of the Round Rock Express, AM 1300 The Zone, beginning at 7:00 p.m. every Monday night. Click here to listen live.